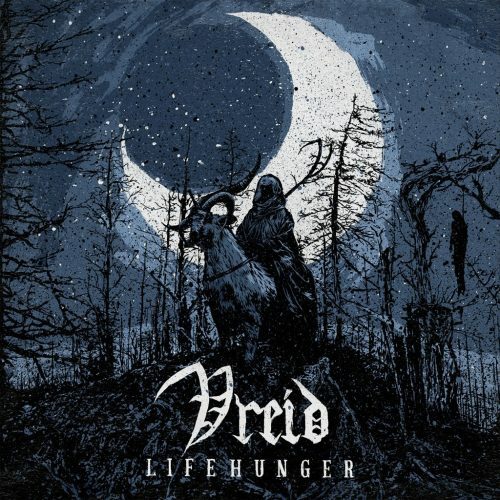 There was once a time when the music of Vreid could be characterized, at least at a high level, as melodic black metal or black thrash. Those days are pretty much gone. The expansion of Vreid’s music into more diverse territory has been an evolving process, evident from the changes that have occurred with each successive album, but the band’s new album Lifehunger seems more heedless of genre boundaries than any other, and the result is an ever-changing experience, richly embroidered with a multitude of musical styles, of which black metal is only one. Lifehunger will be released tomorrow by Season of Mist, and today we’re helping premiere a full stream of the record — preceded by a few more words of introduction. Throughout, there’s a high level of instrumental skill and song-writing talent on display. The songs are loaded with brazen melodic hooks and head-moving riffs and rhythms. 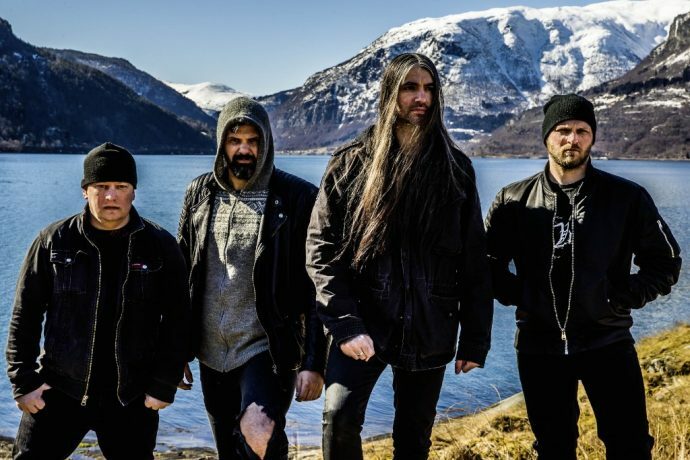 Most of them include vicious vocal attacks — the kind of ferocious shrieks and goblin snarls that recall the band’s more thoroughly black-metal days (though such vocals are not ever-present, as we’ll discuss in a moment). And many of the songs are accented by brilliant guitar solos and sweeping keyboard layers. But the musical ingredients in these songs are quite diverse. The band interweave strains of classic heavy metal and arena-ready hard rock, as well as dollops of prog, psychedelia, and acoustic guitar. There are warlike charges and episodes of cold, grim menace to be found here, as well as rapid-fire tremolo riffing and blasting drumwork, but also whirling dances and blazes of soaring gloriousness. To pick out just a few of the surprises you’ll encounter, “Hello Darkness” is a spooky, gothic piece that also includes a funky drum-and-bass rhythm, a big rocking riff, and an array of clean vocals, including the unmistakable voice of Sólstafir’s Aðalbjörn ‘Addi’ Tryggvason, and the well-named follow-on track “Black Rites in the Black Night” creates a menacing, preternatural atmosphere that becomes almost theatrically grand (and sorcerous), while “Sokrates Must Die” is a viciously feral black-metal rocker that features riffs which are both demonically deranged and massively head-moving. The album ends with an instrumental piece (“Heimatt“) that’s steeped in grief but also magisterial; the chiming keyboards sound like the lament of wailing ghosts; the sounds of classical strings and organ-like tonalities lend an air of solemnity (segmented by intense instrumental flurries) — and the track builds toward a crescendo of wrenching, and ultimately glorious, intensity. These afore-mentioned surprises all come in the album’s back half, but the songs in the front half (after the mystically beautiful instrumental opener) will probably be the biggest crowd-pleasers, with the irresistibly infectious and extravgantly multifaceted “One Hundred Years” being this writer’s personal favorite (it also includes clean vocals as well as ferocious harsh ones). We hope you enjoy the full album stream below, and because it’s in the form of a single YouTube stream, we’ll leave the track list with song times here in case you want to go exploring — but really, you ought to just settle in an experience Lifehunger from beginning to end. Further Details: The album was produced by Jarle Hváll Kvåle and Anders Nordengen at Nabolaget Studio, It was mixed by Anders Nordengen and mastered at Ruben Willem. Vreid’s line-up for the album consisted of Sture (vocals, guitars), Strom (guitars), Steingrim (drums), Hváll (bass, keys).